One of a group of soldiers has committed a murder, but which one of them is it? Great post WWII American noir about bigotry. 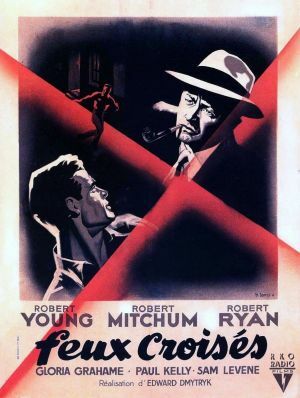 In typical ‘40s style the message is heavy handed, but a couple of great acting turns from Robert’s Mitchum (laid-back to the point of almost nodding off) and Ryan (at his most horrid) make this a bit of a must see.